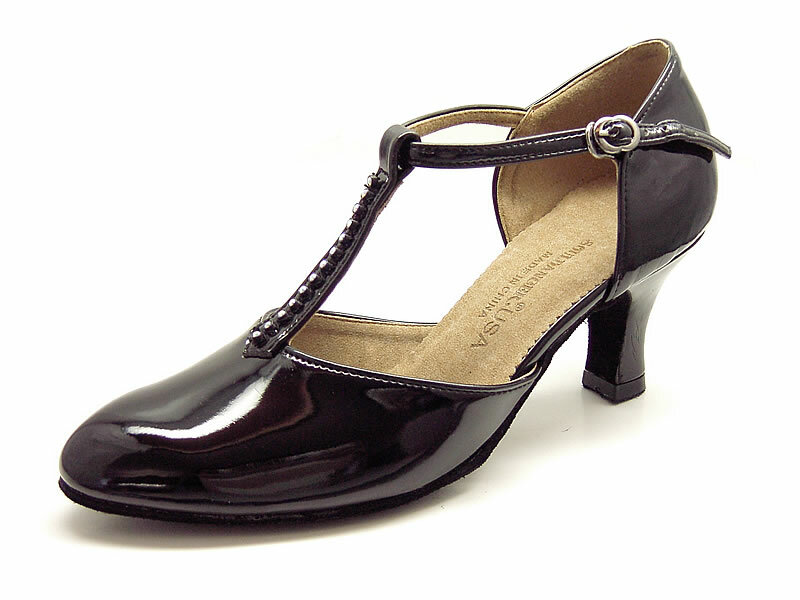 This great looking shoe will accommodate both your Latin and modern style dancing with great versatility. A closed toe shoe embellished with a rhinestone tee strap, softly draping the front of the foot. Top stitching is trimmed around the shoe with the comfort and support of a lower heel for extra support.